Smart cities are hubs that route IoT-produced data through public-private partnerships to solve real problems. From cutting down energy use to improving traffic conditions, building smarter cities can improve the long-term health and the lives of urban residents worldwide. The world is quickly becoming urbanized. According to the United Nations, 68 percent of the global population will live in cities by 2050. While cities hold most of the world’s wealth, they also produce 70 percent of CO2 emissions and consume two-thirds of energy worldwide. As more people move into cities, their sustainability comes into question. IoT is expected to become the standard of living in cities. 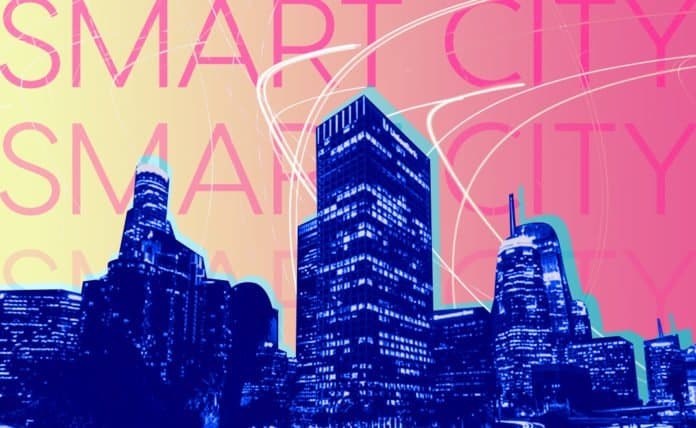 Read on to learn more about what makes a smart city in 2019 and how cities are benefiting from IoT. 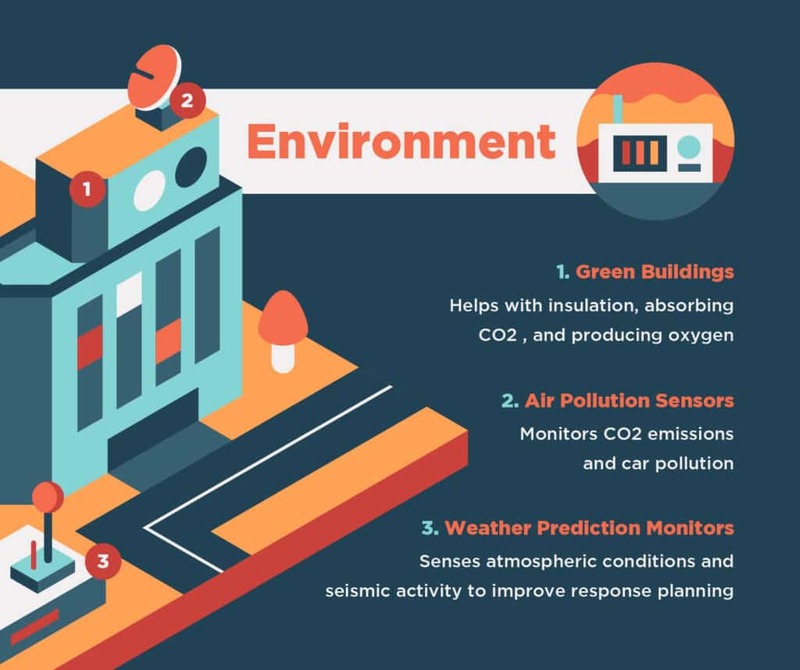 These IoT-driven cities monitor their urban landscape and communicate that data to both the government and the citizens in order to create a more efficient and sustainable space. Here are some of the most prevalent and innovative IoT features. London has improved its CO2 input through transportation. The city reduces 70,000 cars on the road daily by blocking off central business areas to cars and by using cameras to charge drivers who drive in these areas. Copenhagen is another smart city that encourages alternative forms of transportation—they implement GPS-powered traffic lights that favor cyclists, decreasing overall travel time by 17 percent. Buildings are central to our everyday activities, but they also consume considerable energy. 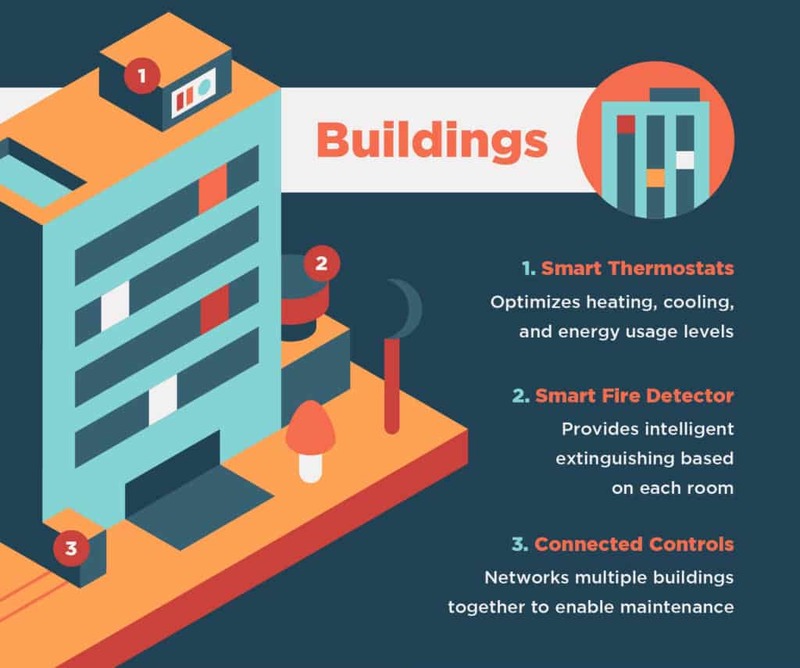 Cities like Singapore are looking to change this with innovative IoT-powered cooling systems. These devices optimize heating, cooling, and energy usage levels based on the activity of each room, saving up to 32 percent on HVAC costs. Similarly, Seattle uses smart analytics systems to reduce emissions for 45 percent of their city buildings. Water and electricity are central to our way of living, but they are often poorly managed. 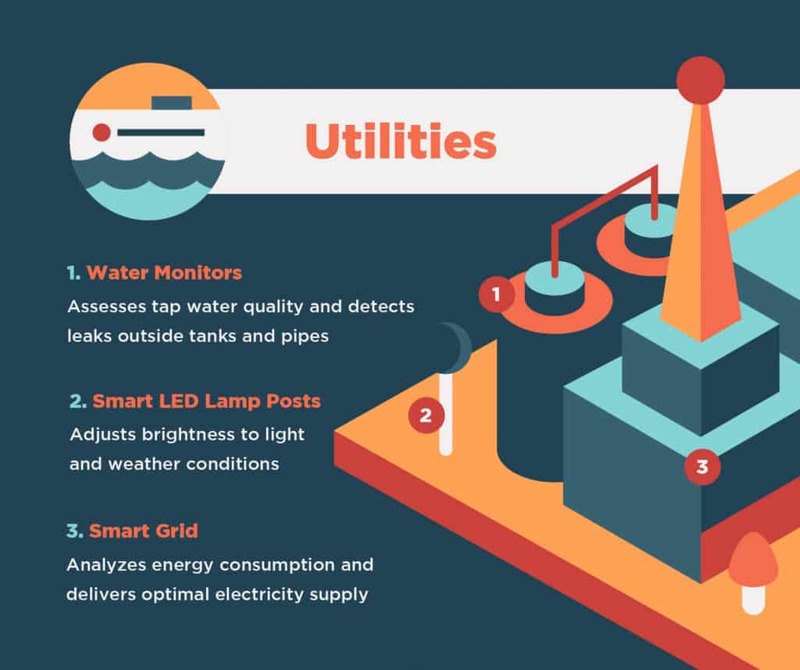 Using IoT, smart cities are monitoring energy use and adapting it to every situation. San Diego saves $250,000 in electricity costs per year with lights that only brighten as vehicles or pedestrians approach. A smart grid is another example of a resource-efficient IoT solution. The technology can analyze energy consumption citywide and deliver only the optimal supply needed to each household. 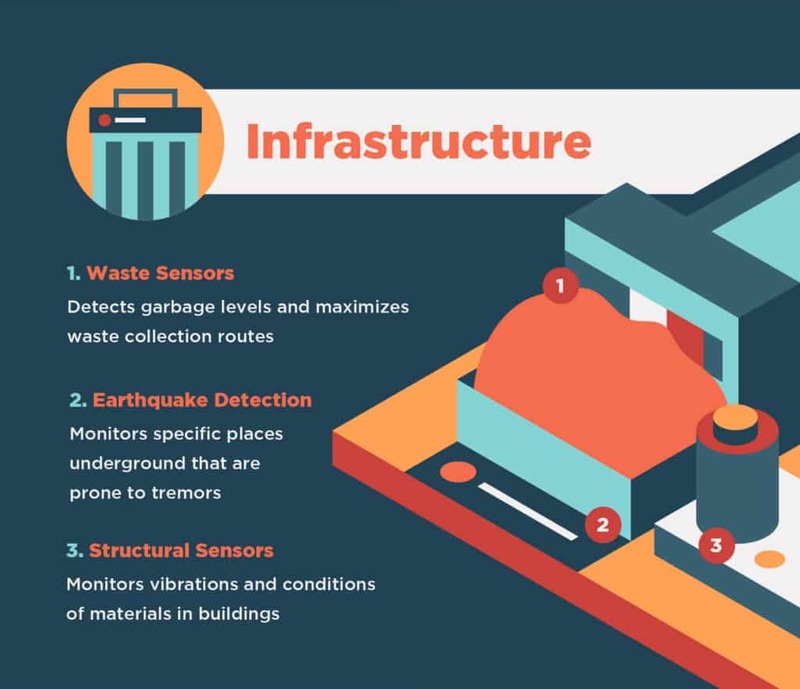 Cities are also using sensors to detect any leaks outside tanks and pipes, and they’re handing water management over to their citizens. New York City saved more than $73 million in water costs by allowing citizens to monitor their water use through automated meter readings. Finally, smart cities in 2019 seek to improve the lives of their citizens. 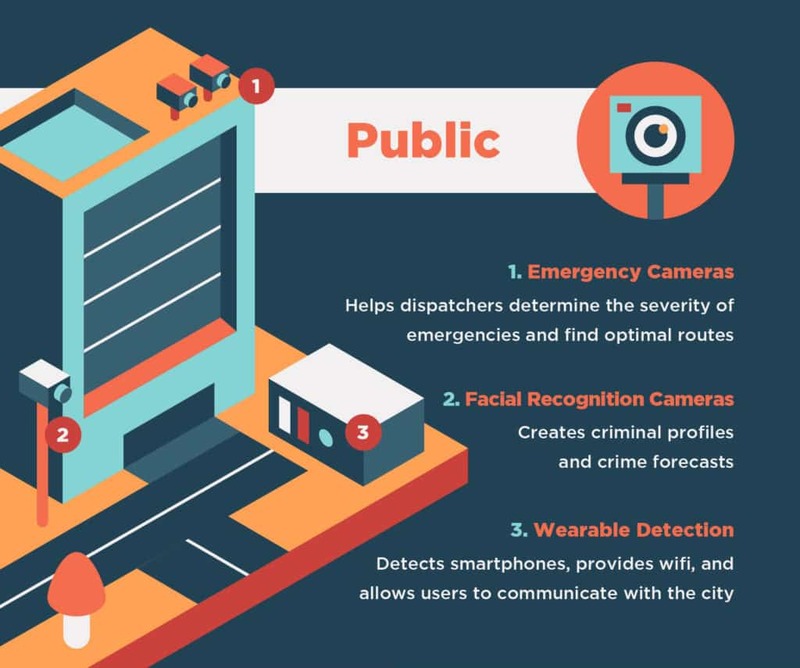 Whether that’s using connected cameras to help emergency responders or allowing users to communicate with the city through WiFi and wearables, smart cities increase the comfort, safety, and livelihoods of the people living in them. Chicago is a strong example. The city has reduced violent crime by 14 percent every year using predictive crime heat maps to aid police efforts. Rio de Janeiro has improved the response time of emergency services by 30 percent using a system of connected video feeds. 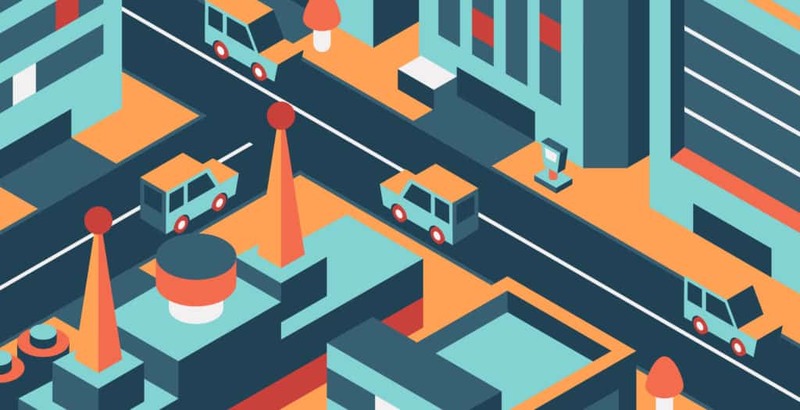 So, what is a smart city? 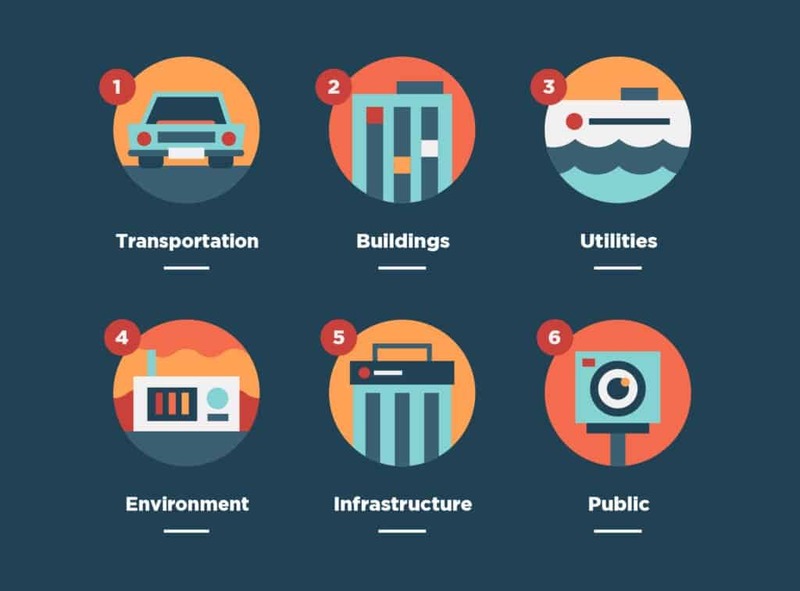 Smart cities are interconnected hubs that coordinate IoT and the resulting data through public-private partnerships to solve real problems. 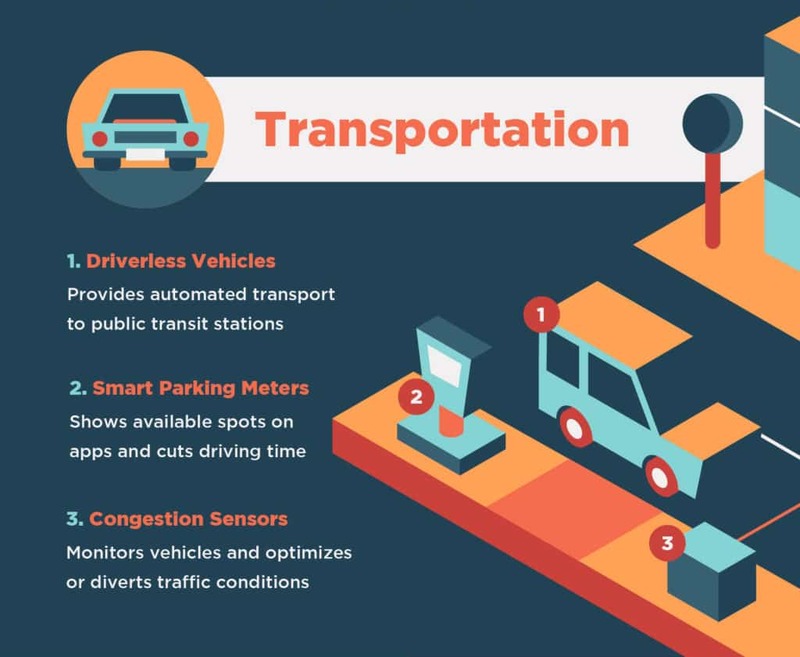 From cutting down energy use to improving traffic conditions, smart cities improve the long-term health and the lives of urban residents worldwide. Written by Lior Zitzman, Director of Digital Audience at BigRentz. This article was originally published here by BigRentz.